I was at Pastor Josiah and Annet's home in Sseya, Uganda. I was giving them clothes for their children. There were still several baby items in the bottom of the box when the Lord told me not to give out any more. I wondered what He had in mind, but obediently closed the box. 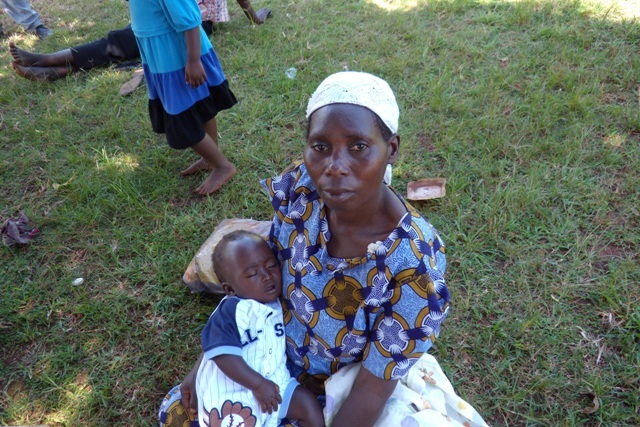 Within a few minutes, a villager came carrying her baby who was very ill from Malaria. She handed me the baby, who was burning up with fever. I began to use the name of Jesus to come against Malaria. In the meantime the Minneapolis team arrived. While I interceeded for the baby, they led the mother to the Lord. God healed the baby! When the baby was given back to the mother, the fever was completely gone. The Lord then told me to give the baby some clothes and a blanket. It was so much fun to give the baby probably the only baby outfit he had ever had. The baby's lethargy was gone and he was sucking on a tootsie pop. To God be the glory!